Deadpool 2 has officially dethroned its predecessor as 20th Century Fox’s highest-grossing X-Men-related film. According to The Hollywood Reporter, last summer’s sequel has just crossed the $784 million mark at the global box office. And it seems we have Fred Savage to thank for that. This latest figure is largely due to the film’s recent PG-13 re-release under the Once Upon a Deadpool title, which allowed it to be screened in new international markets like China. That country initially banned the release of the first Deadpool as well as the sequel’s original R-rated cut. Fortunately, the family-friendly rebranding, boasting a framing device parodying The Princess Bride, opened the door for a whole new audience. Ryan Reynolds attended the film’s Beijing premiere in January, and subsequently shared photos to his Instagram account. Got my eye on you Underpants Building. Thank you to the incredible people of Beijing for inviting Deadpool onto your screens. 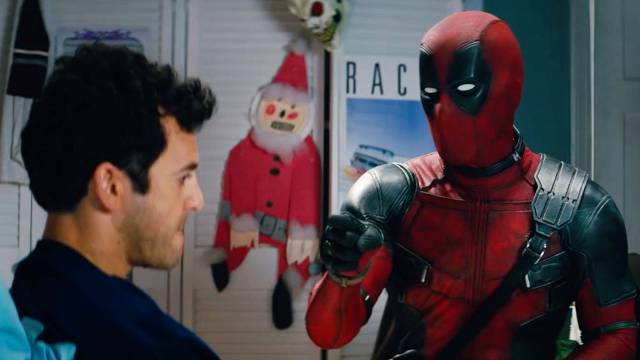 Before the re-release, Deadpool 2’s final box office tally stood at around $738 million, falling roughly $45 million short of the original’s worldwide gross of $783 million. Evidently, the sequel’s Chinese release was allowed it to reach its newest milestone. When it premiered in China, the film earned more than $40 million in its first 10 days. Rounding out Fox’s top five most successful X-Men films are X-Men: Days of Future Past, Logan, and X-Men: Apocalypse. Deadpool 2 and Once Upon a Deadpool are both currently available to own on home media. How do you feel about the film’s newfound financial success? Share your thoughts in the comment section below!